$2,000,000 is needed to purchase 15 Steinway pianos to replace existing pianos including one in the Chapel and to establish an endowed maintenance program to ensure that pianos are maintained. This form allows you to make a gift to the All-Steinway School Initiative at Fisk University using your credit card or through a bank draft. 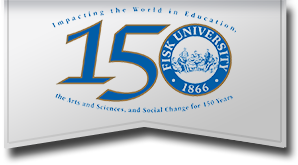 Thank you for supporting the All-Steinway School Initiative at Fisk University. All data collected is confidential and secured.